WHAT DOES OUR TECHNOLGY REALLY DO? 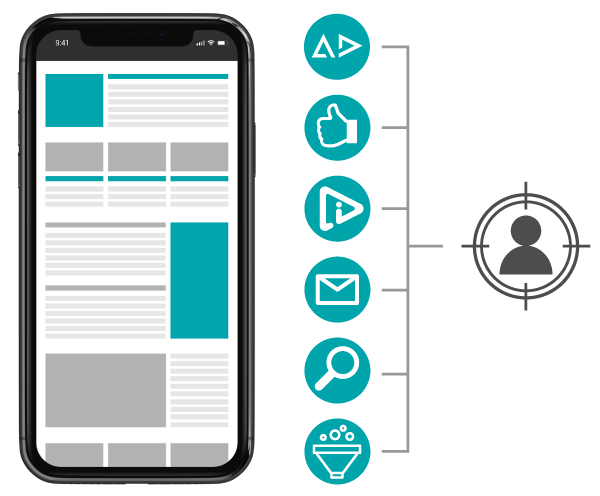 Our proprietary technology analyzes billions of consumer signals and uses “pre-targeting” and “re-targeting” algorithms to fullfill consumer intent across different channels including social, native, email, search and lead generation. The technology we developed is based on six main optimization levels, using proprietary machine-learning algorithms, sophisticated data processing, and detailed analytics capabilities to predict how prospects will respond to a variety of layouts, offers, messages and integrations on a massive scale. We currently manage traffic that generates 5+ million paid ad clicks each month across Europe, US and Asia. Our core technology is constantly self-optimizing based on the volumes of data it analyses, leading to higher quality leads sent to advertisers and stronger ROI. We work closely with the market leaders in search, display and social thanks to established relationships with leading international partners.